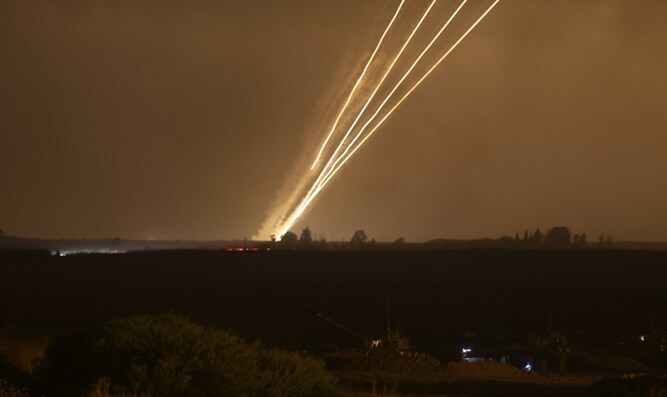 Terrorists launch multiple rockets at Israel as air force strikes Gaza. Sderot house damaged. journalist said, as fears of a fresh conflict heightened. The IDF later confirmed that at least 20 rockets were fired from Gaza, including one that damaged a house in Sderot. No injuries were reported. The launches follow Israeli strikes on the Gaza Strip in retaliation for a rocket from the enclave that hit an Israeli home and wounded seven people. Tags:Hamas, Gaza Region, rocket attacks.